The two-horse race between Racing and Cowries heated up earlier in the day when Racing managed a 7-3 win over Lagos Police in a tough encounter placing them top of the table at 18 points ahead of Cowrie’s 17 points. Lagos Police recorded the first points of the match with a penalty kick through the boots of Scrumhalf; Aminu Adeleye in the 25 minute. The men in black defended well despite various probing by Racing until Eight Man; Adebambo Remilekum charged down a kick by hesitant Police full back; Abubakar Tahiru and then touched down for a try converted by Monday Omorogieva in the 75th minute to secure the game for Racing. Cowries needed a win against Gosar. 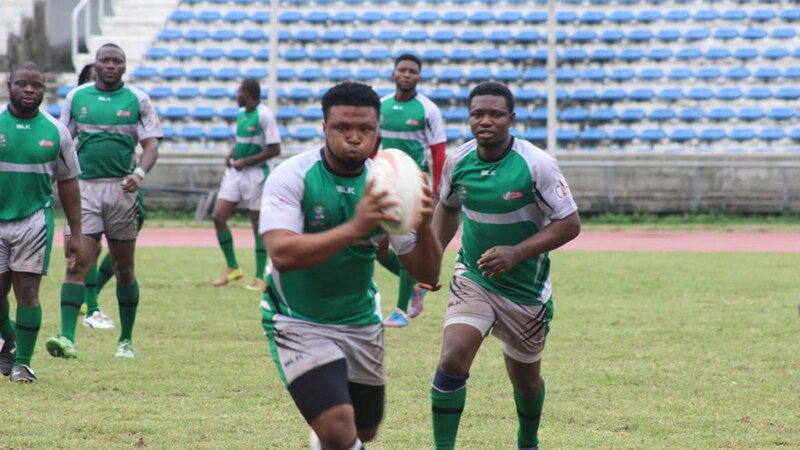 Tries from Captain Onoru Jatto, Christian Ogar and Henry Ani ensured they retained the Lagos Men League Title on Saturday at the Mainbowl of the National Stadium, Surulere as they beat Gosar Rfc 42-0. Gosar have been relegated and will play in Division 2 next season. In the first match of the day, Kings College defeated Lagos Rugby Club 5-3 but remained in third place behind their opponent and Division Two League Winners; Eco II Rugby Club whom have secured promotion to Division One next season. Cowries will face the champions of South South/ South East League to determine the Southern representative in the Super Cup later in November. Meanwhile, Plateau Rugby Club Beat Nasarawa 35-22 yesterday in Jos to clinch the North Central League Title. They will be facing the North West Champions to determine the Northern representative in the Super Cup as well.